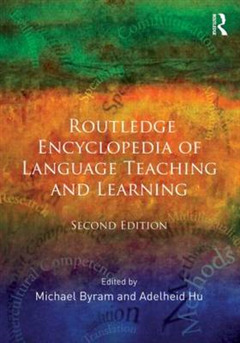 The Routledge Encyclopedia of Language Teaching and Learning is an authoritative reference dealing with all aspects of this increasingly important field of study. 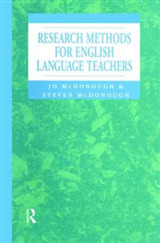 Offering a comprehensive range of articles on contemporary language teaching and its history, it has been produced specifically for language teaching professionals and as a reference work for academic studies at postgraduate level. In this new edition, every single entry has been reviewed and updated with reference to new developments and publications. Coverage has been expanded to reflect new technological, global and academic developments, with particular attention to areas such as online and distance learning, teacher and learner cognition, testing, assessment and evaluation, global English and teacher education. 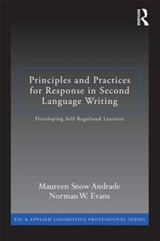 Themes and disciplines covered include: Methods and materials, including new technologies and materials development Contexts and concepts, such as mediation, risk-taking in language learning and intercomprehension Influential figures from the early days of language teaching to the contemporary Related disciplines, such as psychology, anthropology and corpus linguistics It covers the teaching of specific languages, including Japanese, Chinese, Arabic and African languages, as well as English, French, German and Spanish. 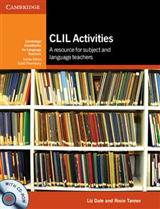 There are thirty five overview articles dealing with issues such as communicative language teaching, early language learning, teacher education and syllabus and curriculum design. A further 160 entries focus on topics such as bilingualism, language laboratories and study abroad. 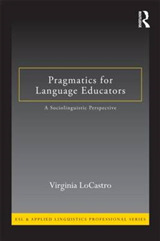 Numerous shorter items examine language and cultural institutions, professional associations and acronyms. Multiple cross-references enable the user to browse from one entry to another, and there are suggestions for further reading.  Written by an international team of specialists, the Routledge Encyclopedia of Language Teaching and Learning is an invaluable resource and reference manual for anyone with a professional or academic interest in the subject.